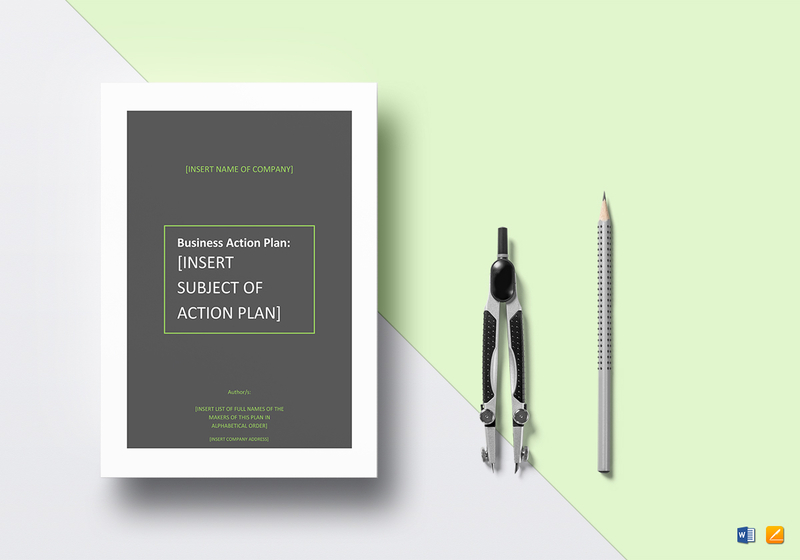 Get your plan organized using this Business Action Plan Template available for instant download anytime and anywhere. 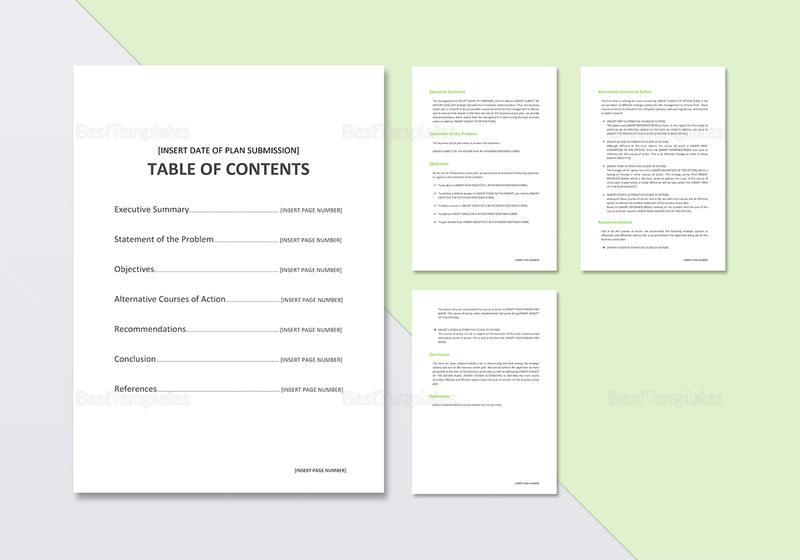 This 5-page document comes with standard business fonts and license. 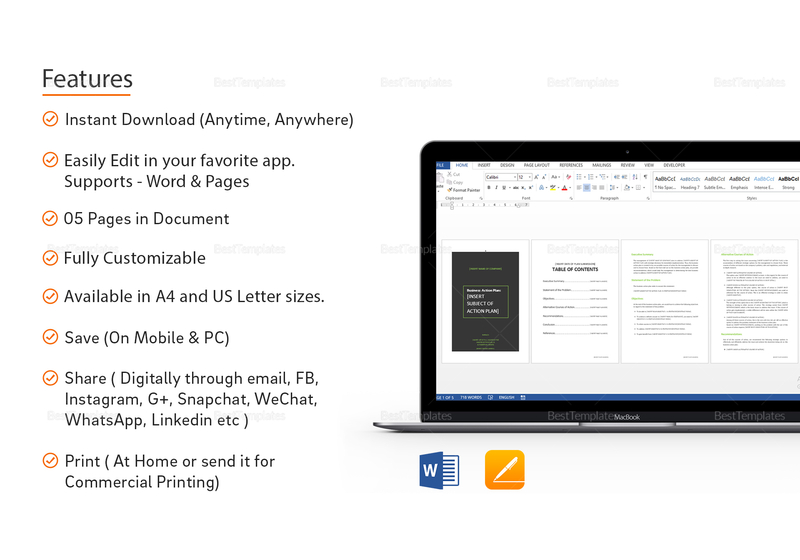 Use your favorite software application or program supporting MS Word or Pages file formats and turn ideas into probable actions. Download now and get the most out of your plan saving time and money.